We are open 24/7 throughout Christmas and the New Year period but do have a reduced operation. Should you have any same day courier requirements during this period please do contact us as early as possible to book. Please note that although our Operations remains open our Accounts department will be closed over the holidays and will re-open on 8th January 2018. 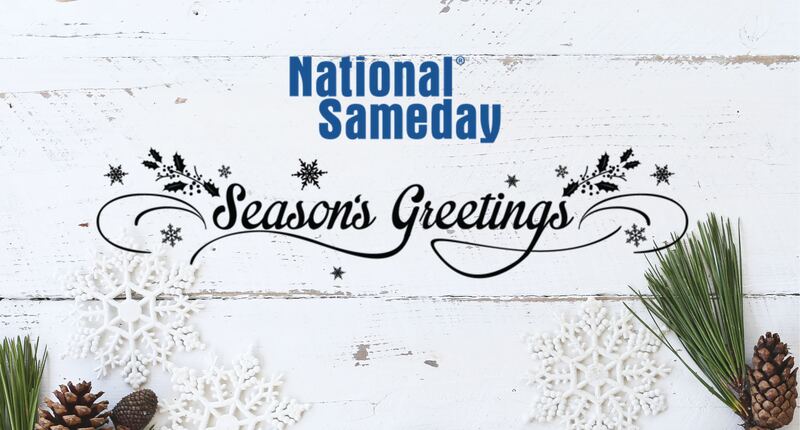 National Sameday are now looking to recruit an experienced Operations Controller to join our team based near Luton Airport. The role of the Operations Controller is to ultimately ensure that all our clients’ goods are delivered and collected to and from their pick up points, and destinations, including multi-drop situations. 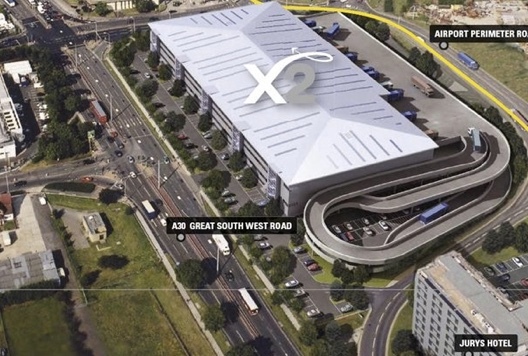 You will also need to work effectively with all staff, drivers, and customers and also be able to build a good working relationship with all our suppliers and couriers across our network. Taking bookings and keeping clients advised of progression. Monitoring jobs through to proof of delivery and completion. Maintaining service level agreements with key clients with particular recognition of premium clients. To be considered for this position you must have experience in Sameday, Courier or Logistics or similar transport/traffic control position with excellent geographical knowledge. Additionally you will possess strong communication skills, strong IT skills, be flexible in your approach to work and shift patterns, be able to work to strict KPI’s and have the ability to work within a fast-paced and pressurised environment. If you are interested please email your details to amandeep@nationalsameday.com. 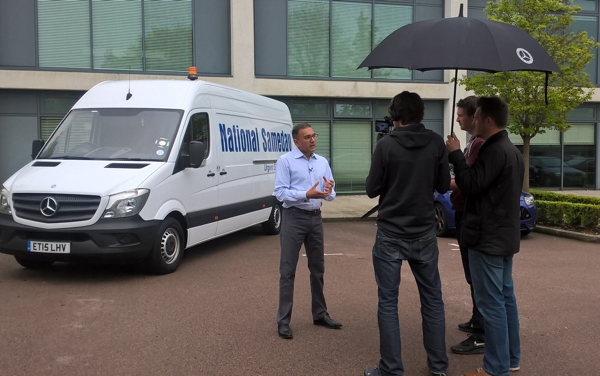 National Sameday adds new 7.5t vehicle to existing fleet with new corporate branding. 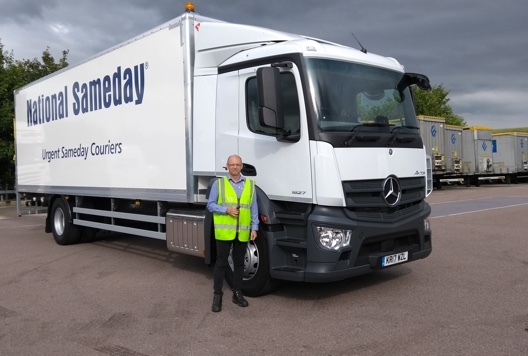 Due to increasing demand for bulk movements, National Sameday adds to its existing fleet of 7.5t vehicles with its latest new corporate branding. Delighted to receive the keys, Trevor Mann, National Sameday’s newly appointed key client manager, gladly receives them from Tony Reffold of DAF UK. Moving the England football team pencilled in as its first job, the vehicle will follow the path of it’s predecessors and will be fully airside compliant to meet the ever increasing demand for airside deliveries. National Sameday will be attending the ap&m expo in Olympia this week 26th – 28th May. We are looking forward to meeting current and new clients from the Aviation industry. If you would like to join us and arrange a time to discuss our new AOG and Airside service routes then please contact our office.